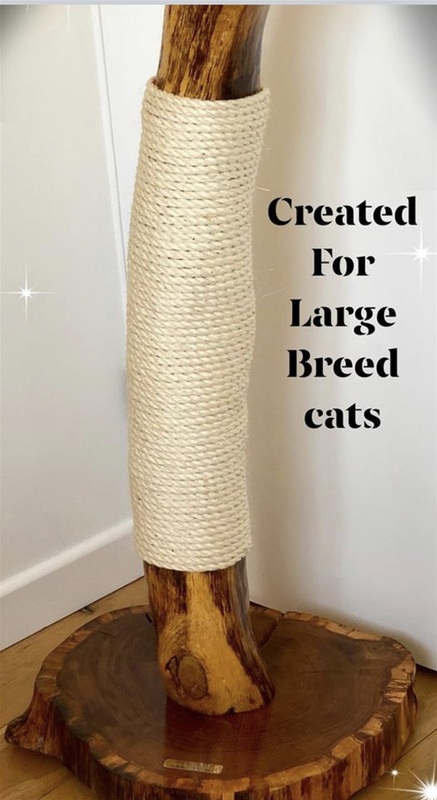 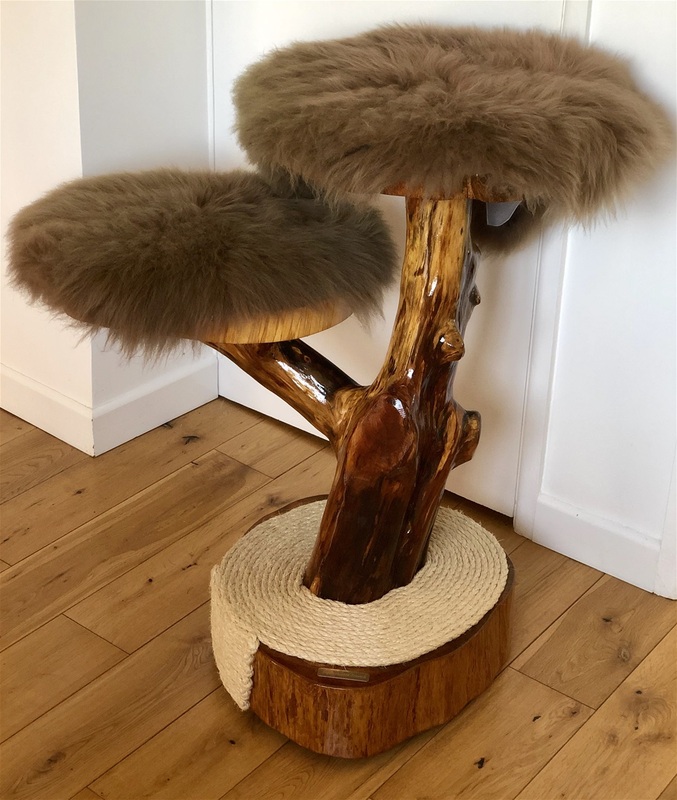 Sophisticated Scratch is a small business based in Somerset creating handmade, luxury bespoke artistic cat furniture with natural products like you have never seen before. 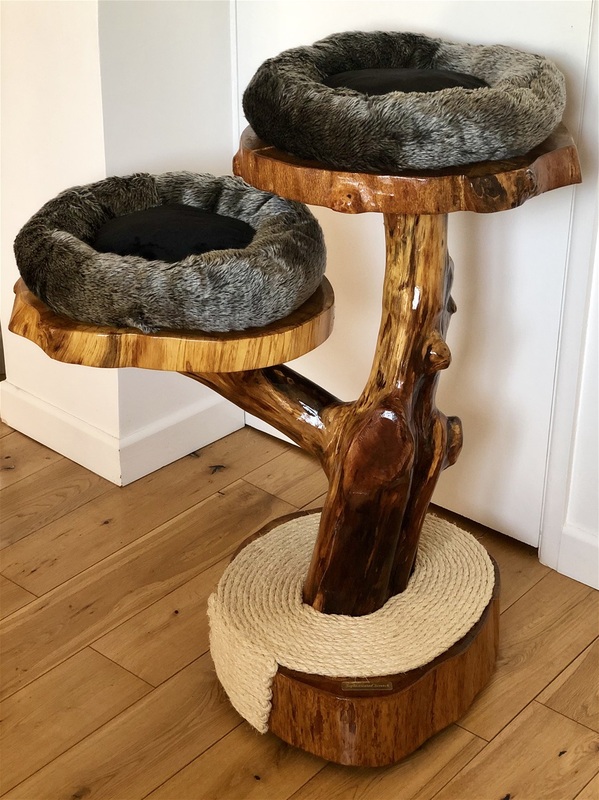 Each one handcrafted mainly from British Oak and Apple wood with the idea in mind that cat furniture can be beautiful art for the owners to admire while serving as a functional purpose for your cat to scratch, climb and sleep on. 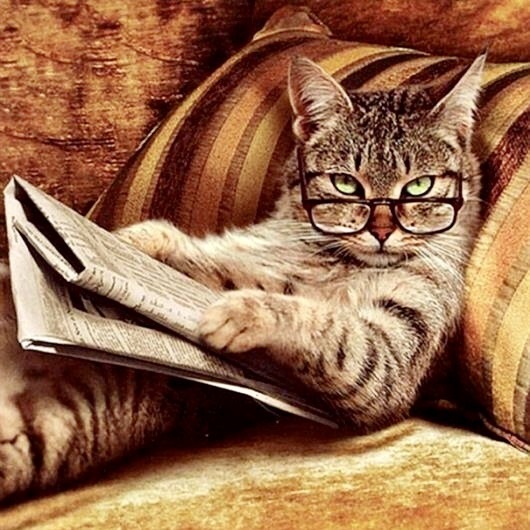 IF YOU BUY RIGHT YOU BUY ONCE SO BUY SOPHISTICATED SCRATCH ! 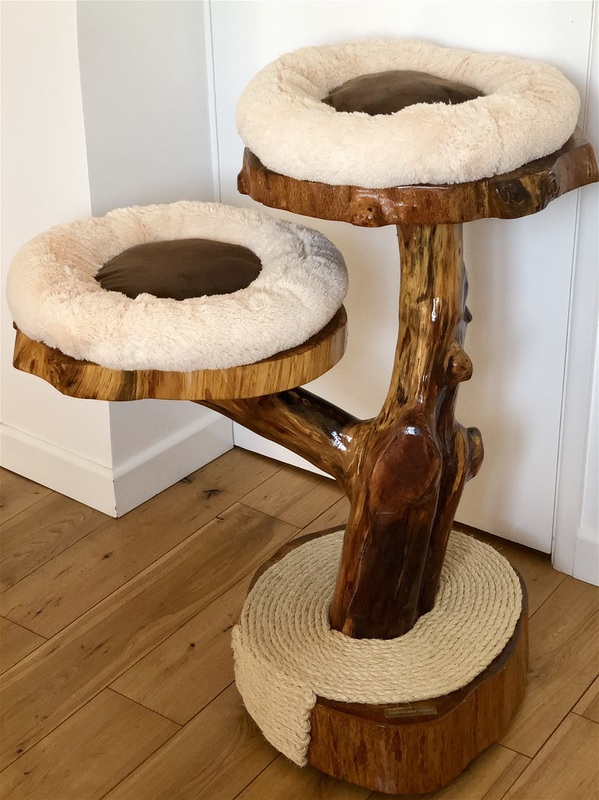 Sophisticated Scratch trees are extremely durable making them the most robust cat furniture on the market today. 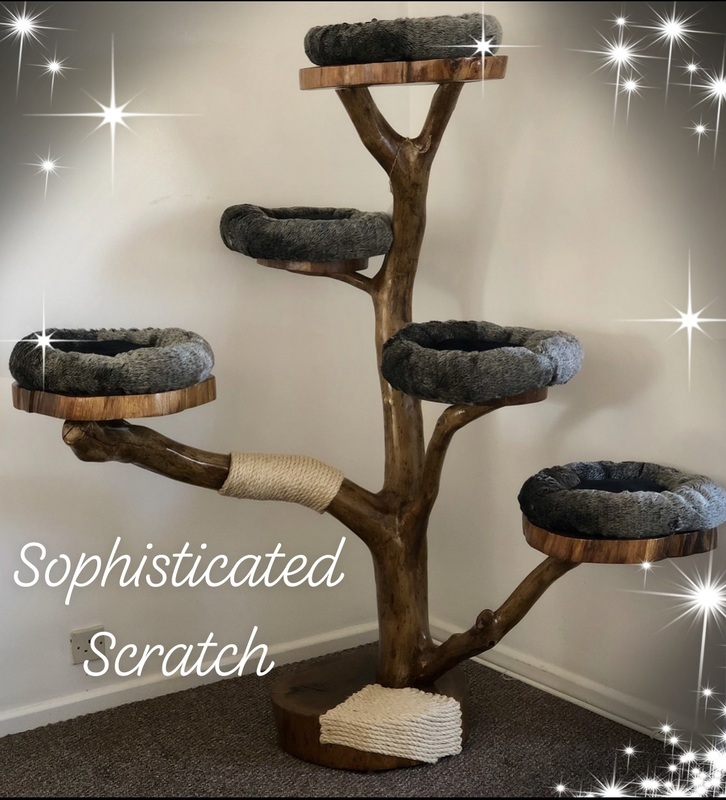 Sophisticated Scratch trees do not tire easily and keep there appeal and luxury looks for years. 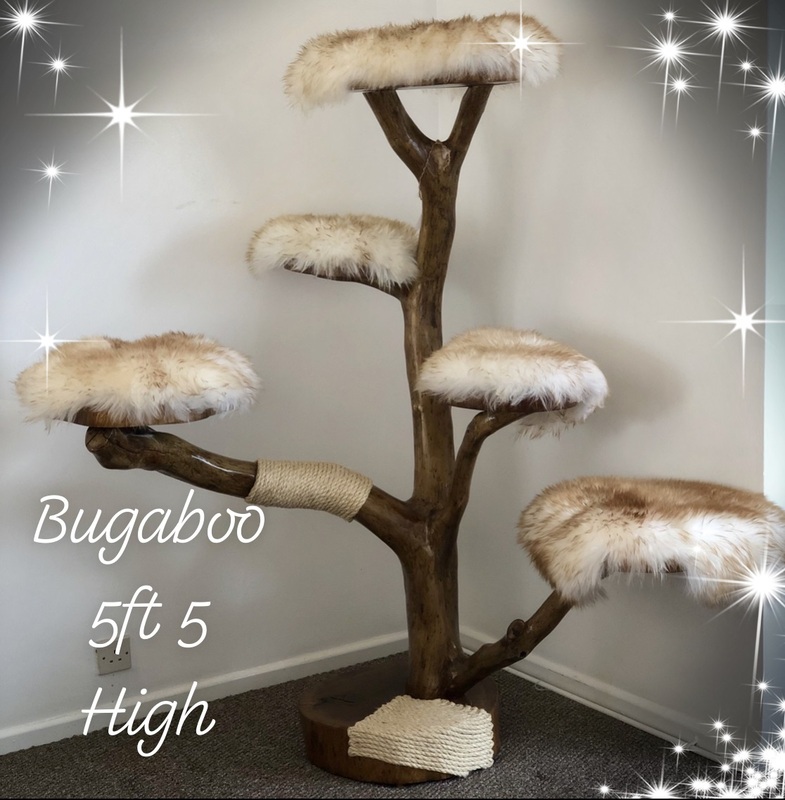 Sophisticated Scratch trees are for both interior or exterior use. 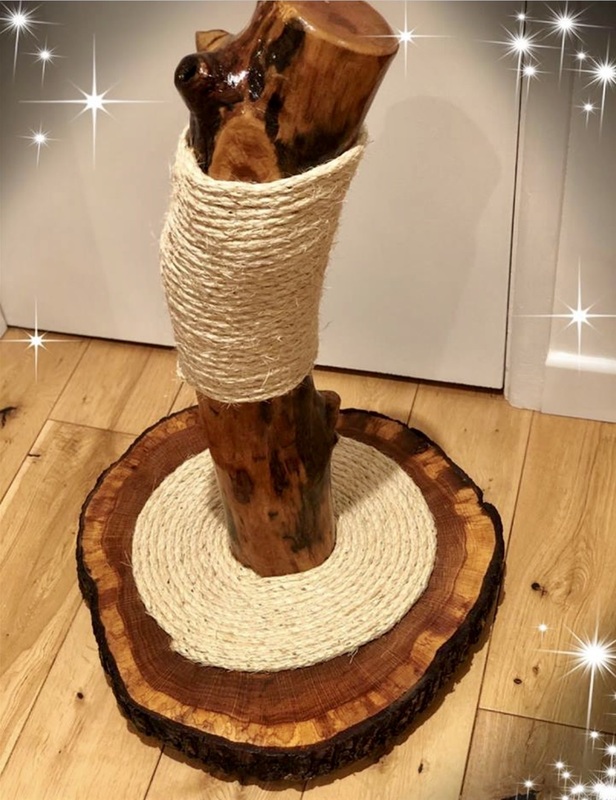 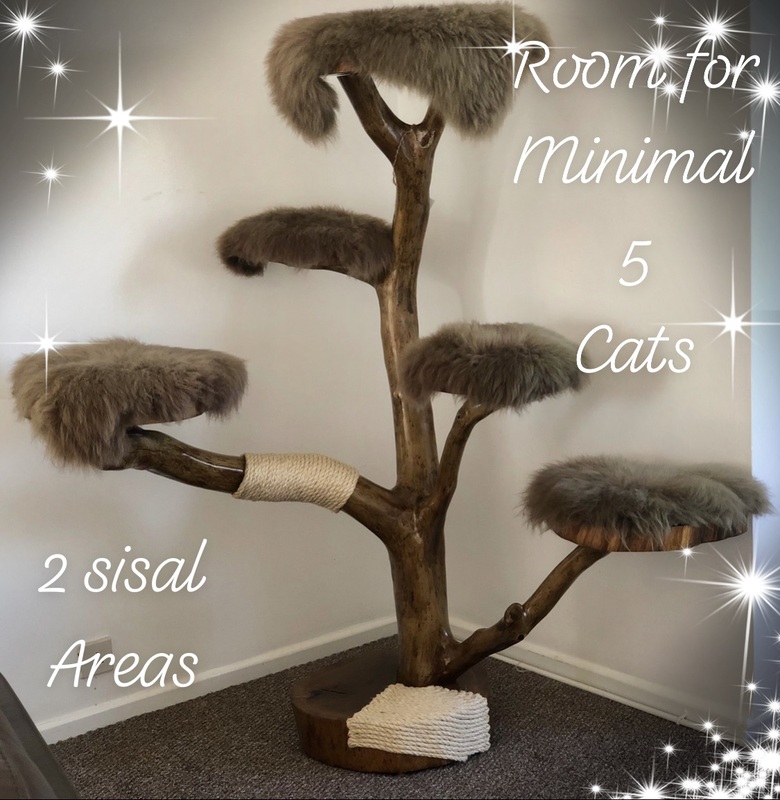 Pamper your fur-baby with their very own Sophisticate Scratch tree and treat yourself to a piece of bespoke art for your home. 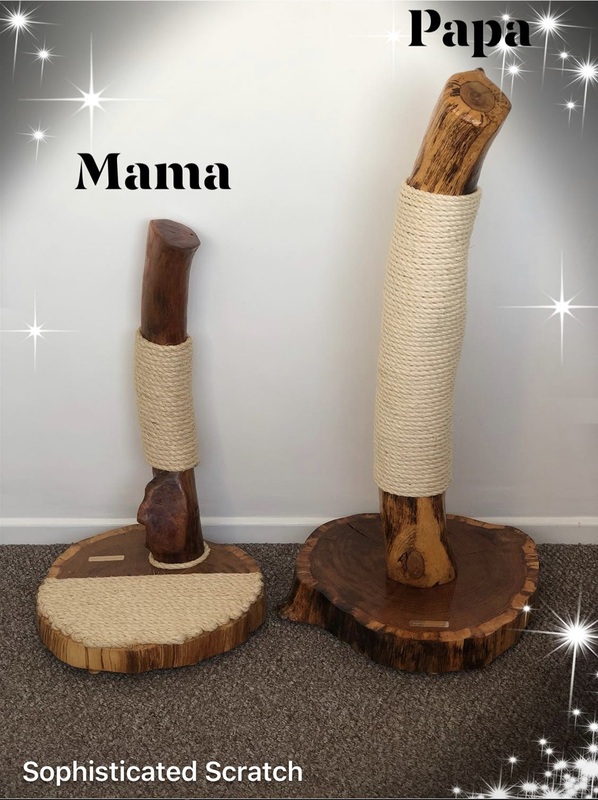 There are no two trees the same, everyone is a unique. 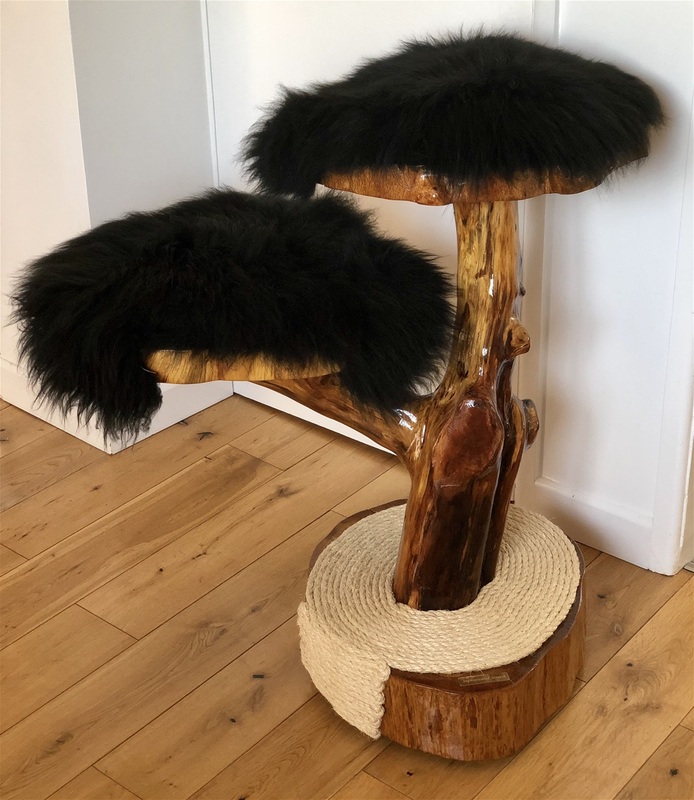 This truly is bespoke art from the west country ! 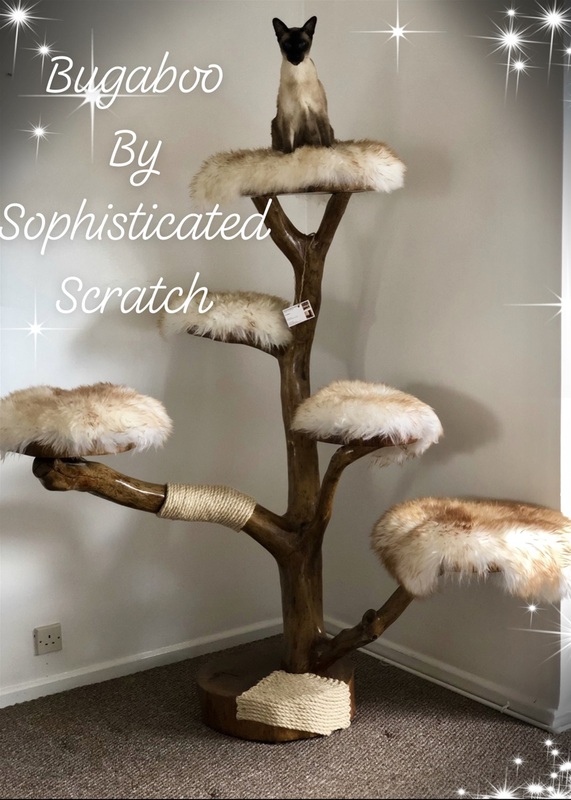 Sophisticated Scratch offer a range of different toppers for our trees so you will never get bored with the look. 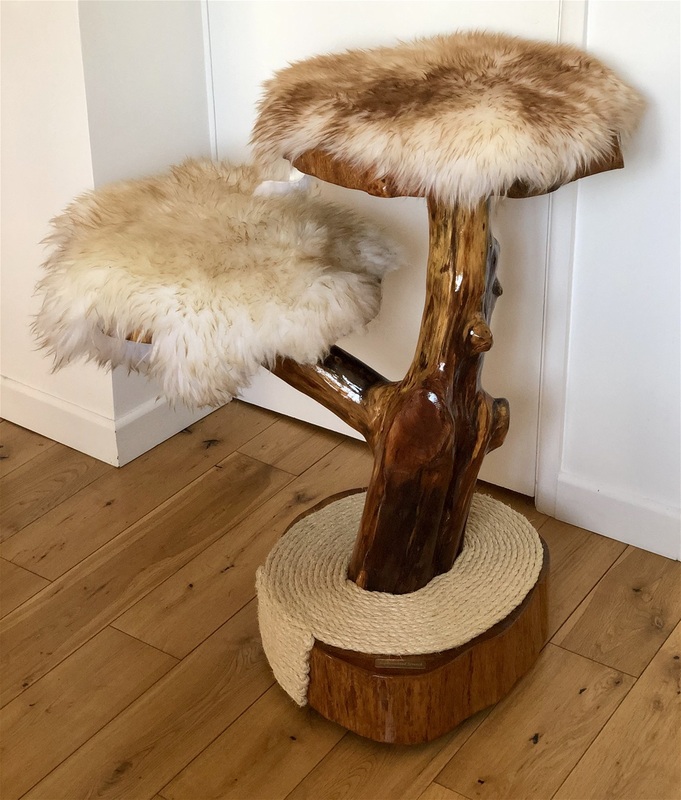 All our sheepskin toppers and beds are fully washable.